Drop by any English country pub on a summer evening and you may encounter a Morris side. If you're within the borders of Sussex/Hampshire/Surrey, then there's a good chance that side will be Knockhundred Shuttles. You might also be lucky enough to find us at folk festivals and other events across the country (We occasionally even foray across the Channel!) Also known to dance at private functions like weddings and birthdays, we have sporadically been spotted performing at opening ceremonies/film premieres! Many people associate Morris Dancing with the hanky waving and stick clashing dances which come from in and around the Cotswolds, but lots of areas of England had their own, very different versions. 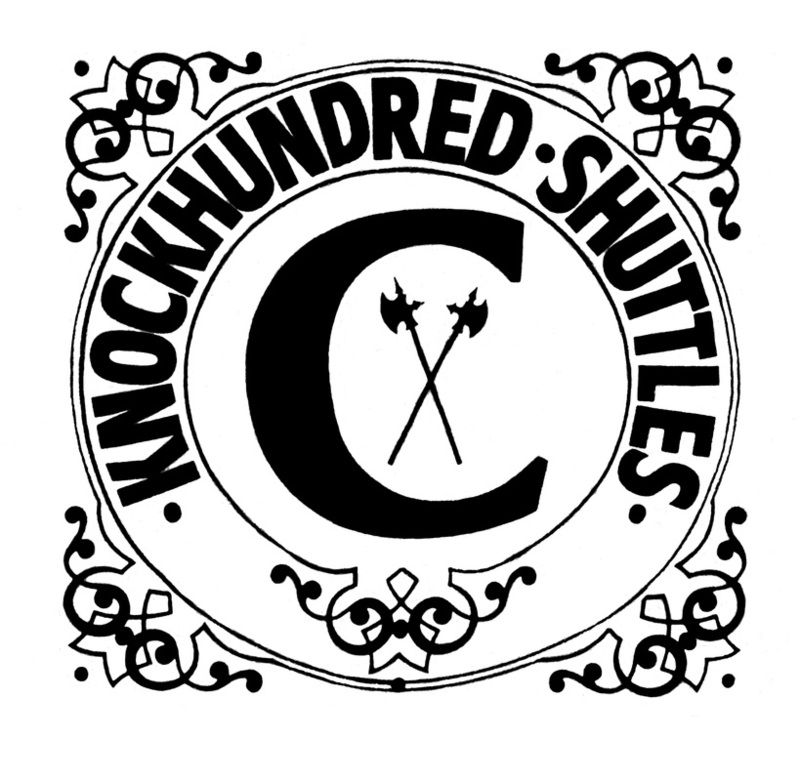 Knockhundred Shuttles perform dances which owe their origins to the industrial northwest of England. If you ever go to one of our events, you may well hear us before you see us as we dance in clogs. Wooden-soled clogs would have been the normal workwear in the mill towns of Lancashire and Cheshire but ours are a little more decorated than theirs would have been! Some of the dances we perform are traditional and may have been used by the mill workers in carnival processions or even in competitions between local sides. In Knockhundred we're lucky to have people with the skills needed to write new dances and some dances written in last 10 years or so have become firm favourites with dancers and audiences alike.